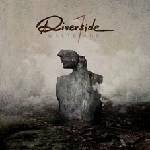 More information: Polish rock group RIVERSIDE are back in the game. The band who have been around since 2001, who have so far released six long-players, a compilation, two mini-albums and two live albums, and who have played numerous tours across the world. That band is coming back this year with their seventh studio album called "Wasteland", a first recorded as a trio after RIVERSIDE co-founder and guitarist Piotr Grudzinski died suddenly in 2016. In the core line-up of Mariusz Duda – vocals, guitars and basses, Piotr Kozieradzki – drums, Michal Lapaj – keyboards and Hammond organ teaming up with carefully selected guests, RIVERSIDE have crafted a 9-track release of exceptional emotional nature and with the huge potential to move every listener. “Wasteland“ is equally profound as it is cinematic, and while stylistically broader, it doesn’t abandon the band’s beloved sound-characteristics. “Wasteland“ somehow marks a new beginning, but with a record this confident, coherent and epic, the future for RIVERSIDE not only looks pretty bright, but should also provide new heights to be reached within this next chapter of their already impressive career. The seventh full-length album from Polish progressive rockers Riverside sees the band returning to a darker and heavier side, but with no less beauty. Limited Edition: CD in Media Book with bonus track and sticker set.